We can sharpen your Steel Blades. 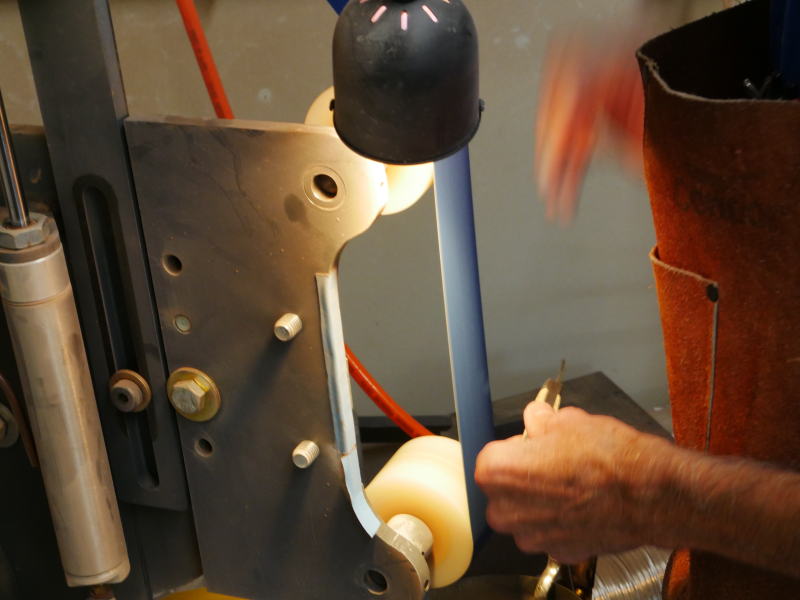 We sharpen plain edge blades only, fixed or folding. We do not sharpen serrated knives, scissors, ceramic blades, or convex grinds. We will sharpen the plain edge section of your combo edge (but not the serrated section of the blade). It will take 1 to 2 weeks for shipped blades. 2 - 4 business days if you are local - sometimes we can do local blades the day of if you come in early enough. Knives 4.99 inches and under are $5.00 per blade. Knives 5 inches to 10 inches are $8.00 per blade. Knives over 10 inches are $10.00 per blade. For anything over 15 inches, call our customer service (800-255-9034) for a quote and confirmation that we can sharpen it for you. If we're shipping the knives back to you, there is a $3.00 ship charge per knife, or $8.95 for 3+ knives. USPS shipping only. If you have a fixed blade, be sure to tightly, carefully wrap your knife's edge. The best way is to construct a temperary cardboard sheath with cardboard and tape. That way the postman doesn't get cut, and we like to keep him happy!